The media has lately been abuzz about the Korean skincare regimen. We wanted to deconstruct that a bit and talk about the different ways to look more youthful. We find that in the US, women are focused on having wrinkle-free, acne-clear skin. However, there’s less focus on other aspects that can shave years off your appearance. Here, we’ll focus on 3 tips that Korean women focus on to preserve your youthful skin and age gracefully – and with as much collagen intact as possible! 1. Refine texture: Babies and young children have translucent, thin, delicate skin before age and wear leather the skin. The way we like to explain this is: imagine someone with smooth acne-clear skin and yet they have thick, leathery skin. The rougher texture suddenly adds years to the face. That clarity of skin that has the translucency fit for a fairy screams youthfulness in an at once elegant and subtle way. To achieve that delicate texture refinement, exfoliating without tugging and irritating goes a tremendously long way. 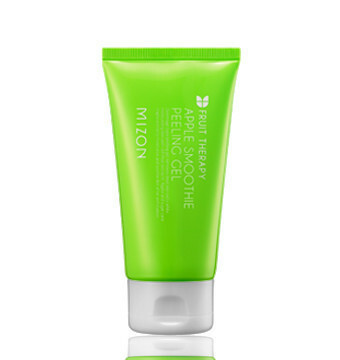 We love this incredibly gentle and effective exfoliator to help achieve this look. 2. Preserve Firmness: Fine lines, sunspots and acne are much more treatable after the fact (potent serums - or maybe even fillers for the more daring, brightening ampoules, and ingredients to curb sebum production help with the above). However, sagging and loose skin is challenging to tighten up short of more invasive solutions like face lifts. Of course, products can help reverse some loss in firmness, but the best solution for firmness is to keep it intact as much as possible. And a plump, taut countenance goes a very, very long way in keeping that youthfulness intact. Here’s one of our favorite Korean A-listers who have done wonders in preserving her youthfulness. This woman is 43; treating her skin with respect has paid off. We know. It’s unbelievable. We’re frequently asked what our favorite product is for firming, and we always pick this 90% concentrated marine collagen serum in our top 3 picks. 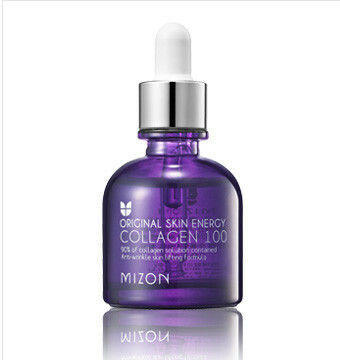 Hats off to Mizon for creating such an effective and generously portioned serum in lovely packaging. 3. Boost Radiance: The hallmark of a youthful face is that dewy inner glow. Keeping the skin hydrated and well exfoliated adds to this bright look, and fortunately, there are specific products formulated to enhance that inner glow by helping your skin to radiate from the inside out. Radiance truly is the best accessory for any outfit. And our favorite cream to bring out this inner glow? Here you have it! While smooth and wrinkle-free skin help maintain a youthful appearance, translucence, firmness and radiance might go further in creating an impossibly fresh and youthful allure. Respect all aspects of your skin and we promise, it’ll show you a whole lot of love right back. On that note, have a lovely weekend!